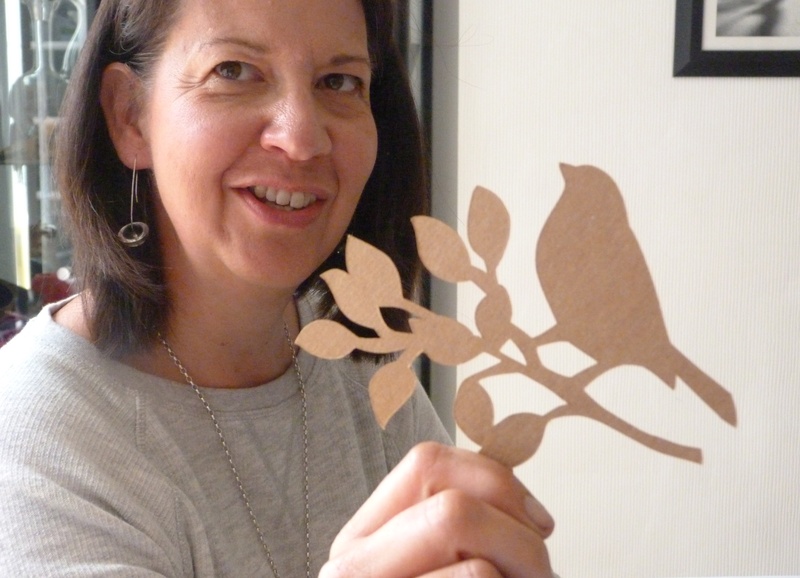 Kat kindly led a session on paper cutting for us. We have had difficulty in finding a time when we could all meet, but five-eighths of us made it to this session, and a fun time was had by all. We didn’t work hard all the time! Thanks to Kat for organising and running the session! Unfortunately Nicky Barfoot has decided to leave the group. We will miss her work, her humour, and her key role in the efficient running of our meetings. We wish you well, Nicky, and hope to keep in touch! On a more positive note, the exhibition, ‘Gathered Memories’, is due to go on tour after it leaves the Theatre Royal in Winchester. You have until the end of May to catch it in Winchester, then look out for it near you! 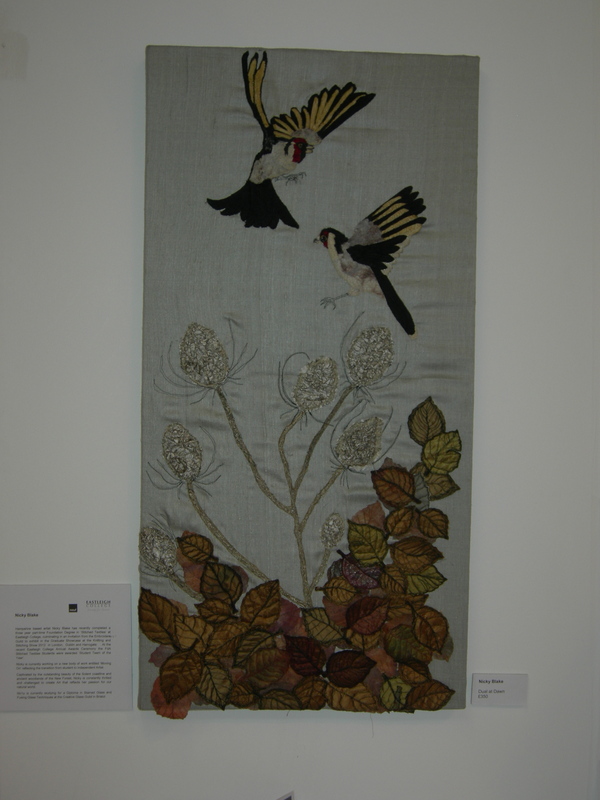 Gathered Memories is a textile installation of tea dyed silk and gold thread illustrating the concept of memories, showing how these twist and turn through life. Inspired by an original idea by Elizabeth Saunders and commissioned by the Theatre Royal Winchester, this larger and more ambitious work brought together five artists and is the culmination of three months’ work. Elizabeth was joined by Jeryl Church, Lisa Earley, Consuelo Simpson, Ann Smith and talented young students from Peter Symonds College to complete the piece. 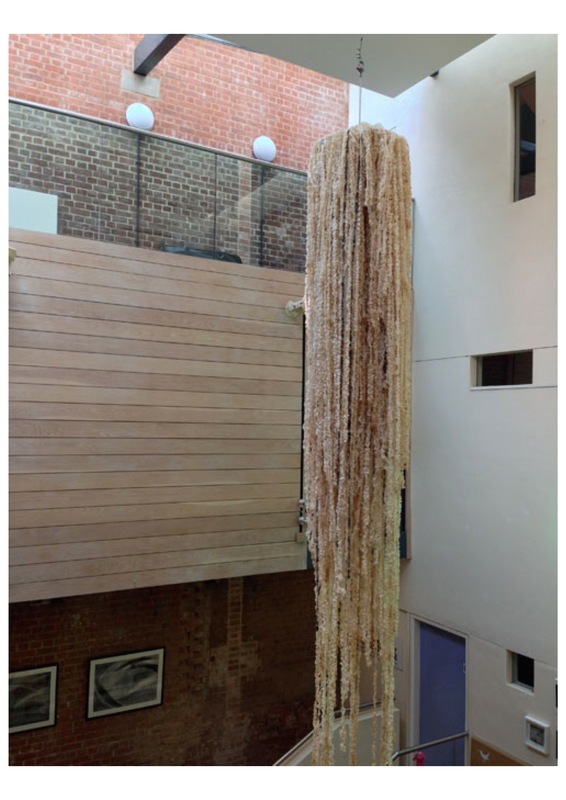 The team met every Wednesday and worked on the installation in the atrium of the Theatre Royal, Winchester where it now hangs. Ann Louise Smith and Consuelo Simpson getting the colour just right! through the stitching phase and the trepidation of the assembly and installation was a rare and much appreciated pleasure. The participating artists have all produced work on the theme of memory for this exhibition and this work is also on show in the Theatre Royal, Winchester. The exhibition runs until 31 May 2013. Hampshire based artist Lynette Long has an interest in depicting the human form. She has a large family which she uses to draw inspiration from. 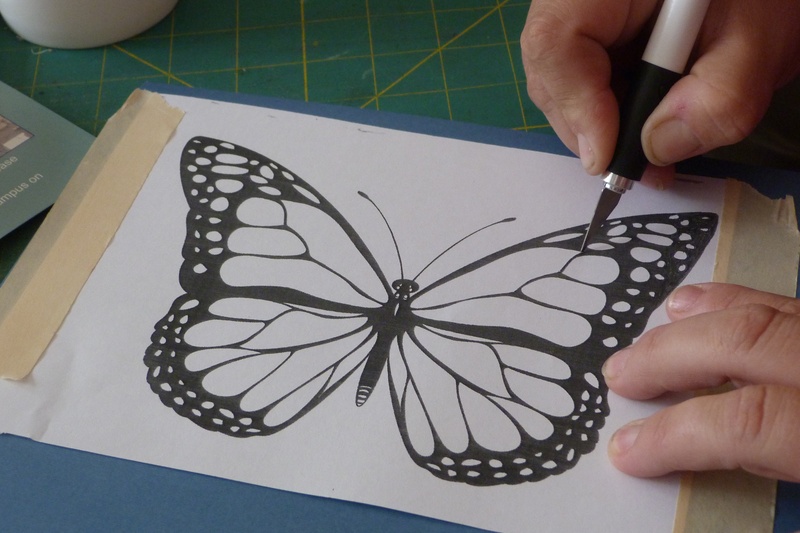 Working intuitively without a preconceived idea of the end result, Lynette lets the medium she is working with help to evolve the piece – this keeps her work fresh and original. 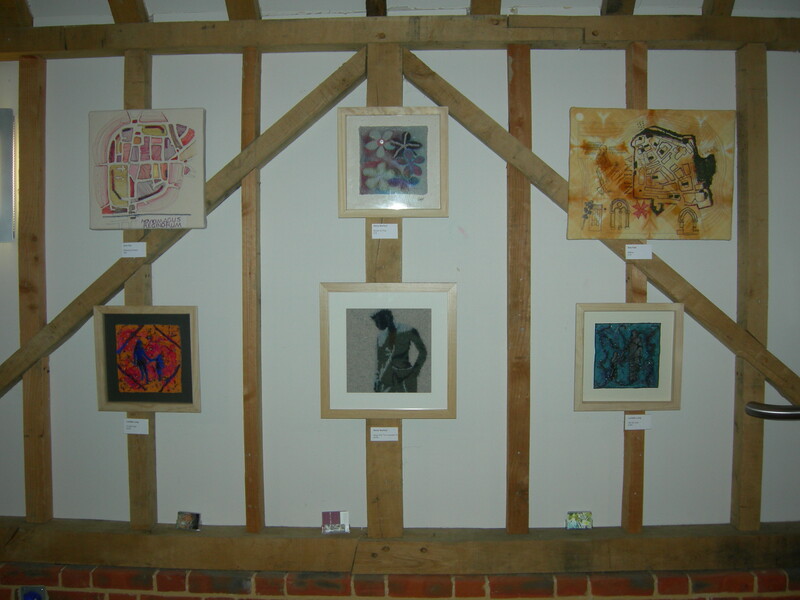 Great party at our Artist’s Reception evening yesterday at Hanger Farm. A lovely venue, full of character, with extremely helpful technicians who made the hanging process almost pain free, and our evening guests were very complimentary about the exhibition. It is on until 27 April so please do go along if you are in the area. A taster of what you will see can be found below. 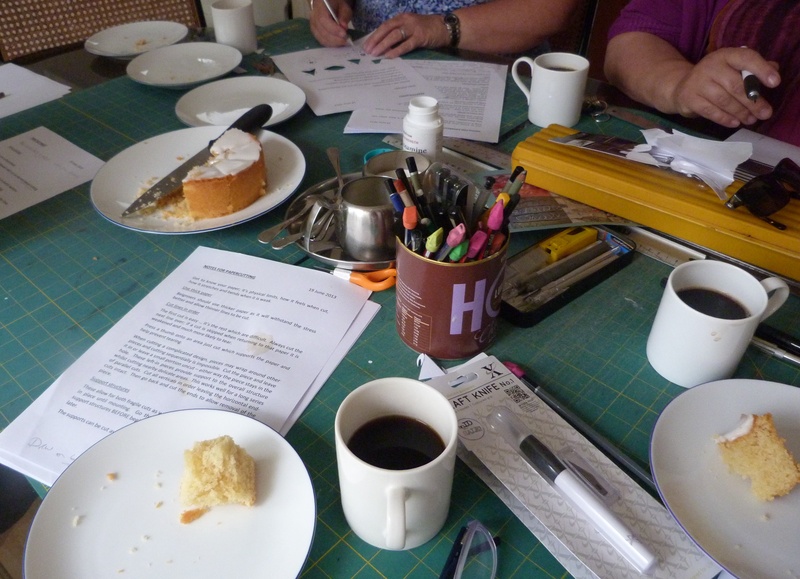 Following on from a cold and snowy four days at the Birmingham NEC last weekend, the group are now busy getting their work together for our Hanger Farm exhibition which starts next week. As a taster of what to expect, here is a piece of work from Nicky Blake taken at the recent ICHF show. 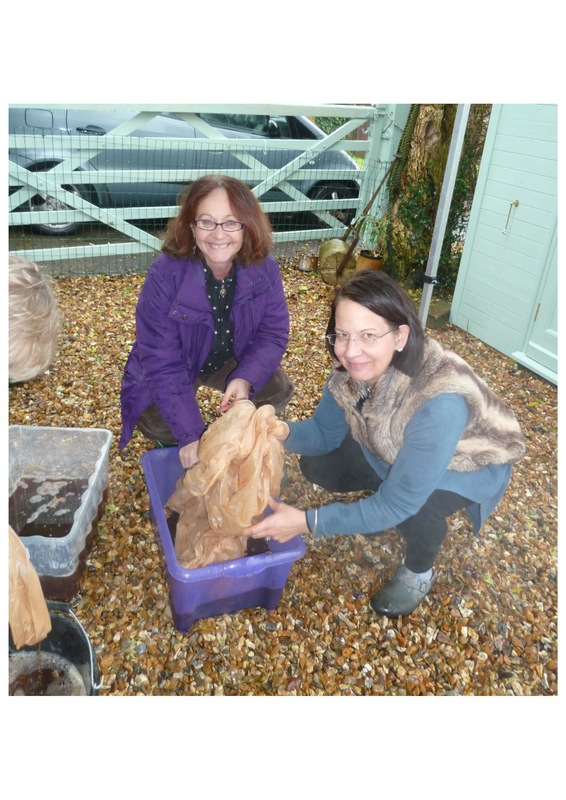 Captivated by the outstanding beauty of the Solent coastline and ancient woodlands of the New Forest, Nicky is constantly thrilled and challenged to create Art that reflects her passion for our natural world. 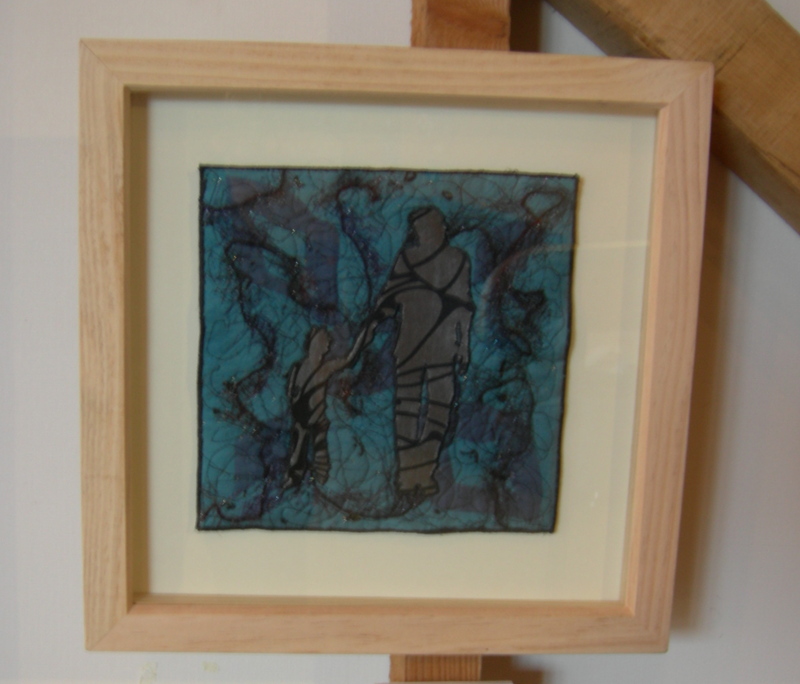 Since completing the Foundation Degree in Stitched Textiles in 2012, Nicky is now studying for a Diploma in Stained Glass and Fusing Glass Techniques at the Creative Glass Guild in Bristol. Day 2 of the ICHF is now over but with two more days left to go, there is plenty of time left for you to come and visit us at Stand N18. Here is a taster of what to expect. 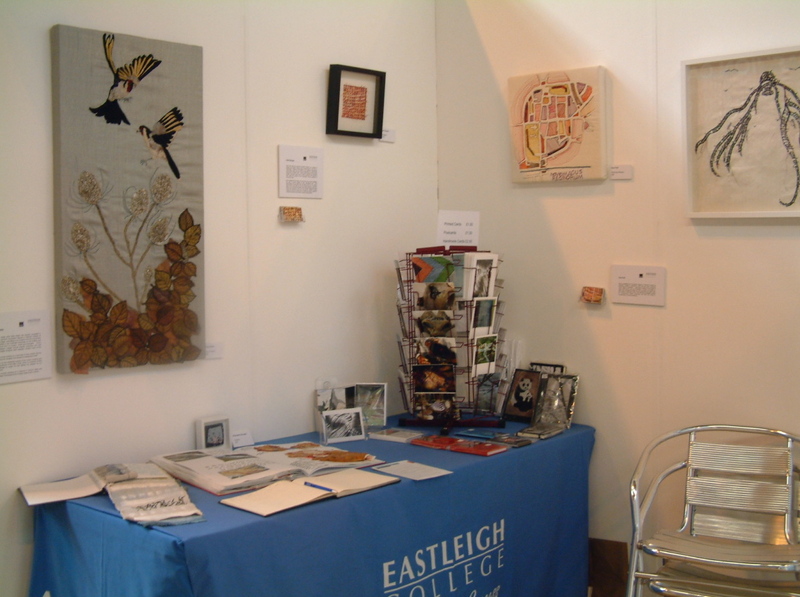 One corner of our exhibition on the Eastleigh College stand. There is plenty more to see so do come and visit us.